President-elect Donald J. Trump will soon announce his pick for Secretary of Veterans Affairs, and his nominee should honor the phenomenal research that the Veterans Health Administration provides. VHA research — the nicotine patch, the first implantable cardiac pacemaker, the Shingles vaccine, among many others — benefits not only veterans but all Americans. Last year alone, according to VA Undersecretary for Health David Shulkin, VHA researchers published 9,480 papers in the scientific literature. Most recently, the VHA, in partnership with the Prostate Cancer Foundation, which has helped fund the research for many major treatments, embarked on another critical research initiative. The Foundation has donated $50 million to the VHA, making this, Shulkin says, the largest commitment to cancer research the VHA has ever received, one that will help deliver better care to veterans particularly those in rural and remote areas. Foundation, CEO and President physician Jonathan Simons says the foundation is eager to work with the VHA because it is the largest health care system in America, with the most men suffering from prostate cancer of any healthcare system or institution. Because of this the VHA, he says, provides a unique opportunity to help solve some of the most vexing riddles about prostate cancer, democratize treatment through the VHA’s superior telehealth capacity, and accelerate the pace at which new drugs and treatments are made available to the nation’s veterans. The partnership has not only included prostate cancer researchers inside and outside the VHA but will also connect the biopharma industry. According to Simons, the VHA is critical to advancing research in prostate cancer for multiple reasons. Its highly evolved electronic medical record has collected healthcare information on patients that goes back for decades. Plus its system of telemedicine allows researchers access to patients throughout the nation, particularly in difficult to reach rural areas. “This partnership with the VHA has just increased aperture to get answers to critical questions in prostate cancer research,” says Simons. Another question this new partnership will address is how best to mobilize precision medicine – the use of diagnostic tests and the patients’ DNA to make sure the right treatment is used on the right patient at the right time – to treat prostate cancer. As Simons explains, there is no such thing as “prostate cancer.” There are instead over 17 different kinds of prostate cancer. Without reading the DNA sequence, you risk treating a person with type 5 prostate cancer with type 11 drugs. Working with VHA patients, says Simons, also provides a more representative picture of the actual demographics of American men who suffer from prostate cancer. Without the VHA as a partner cancer researchers tend to be limited to patients at National Cancer Institute designated cancer centers or physician practices. These centers are often located at elite institutions to which many Americans – particularly those in rural areas – lack access. Through the VHA’s telemedicine system, which is one of the most advanced in the world, a veteran in Blackhills, South Dakota, Shulkin explains, will be able to gain access any treatments that the partnership develops as easily as someone living in a resource rich urban area. 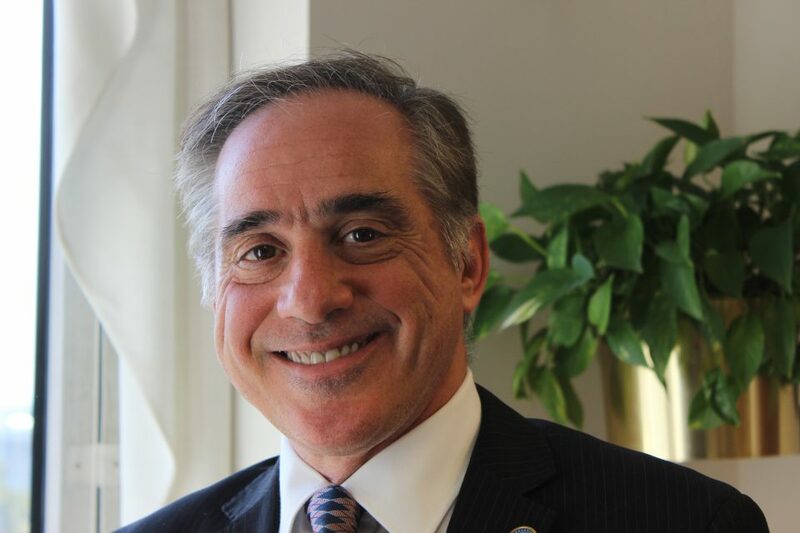 Since many of the veterans eligible for VHA care are low income, indigent or even homeless, and without the VHA might be among the uninsured, both Shulkin and Simons argue that this project will also “democratize” care to populations who would normally be denied such innovative treatments. Because innovations that start in the VHA do not stay in the VHA, research innovations developed in this partnership will not only benefit VHA patients but have the potential to reduce death and suffering from prostate cancer for men all over the country and the world. This is yet another example of why those trying to gradually dismantle the VHA and privatize its services could jeopardize not only veterans’ health but research that will benefit generations to come. Suzanne Gordon is a healthcare journalist who is working on a book about VA healthcare.